More of our photos from 2006. 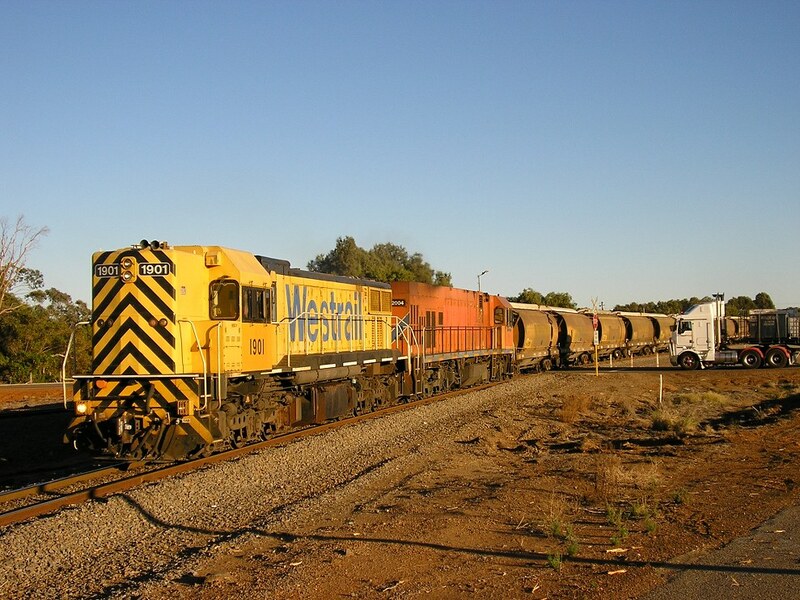 P2508/1901/DA1574 haul a loaded grain train near the Greenough Flats area on 27 May 2006. The train is heading to the Port. 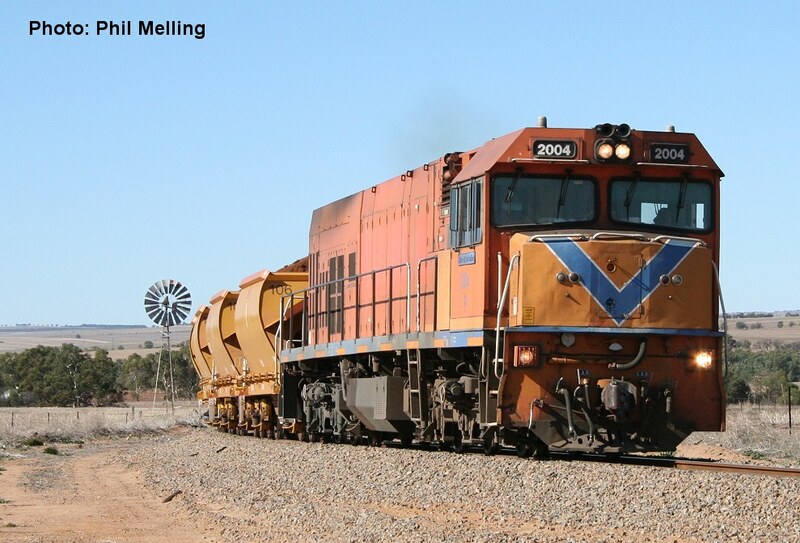 P2004 hauls a short 4 wagon iron ore train back from Mingenew (a line where iron ore trains do not normally run) with the Midwest Corporation test train using Mount Gibson Iron ore wagons. The trial was on 13 June 2006 and resulted in new wagons being ordered for use by Midwest. Photo taken near the old Strawberry siding. 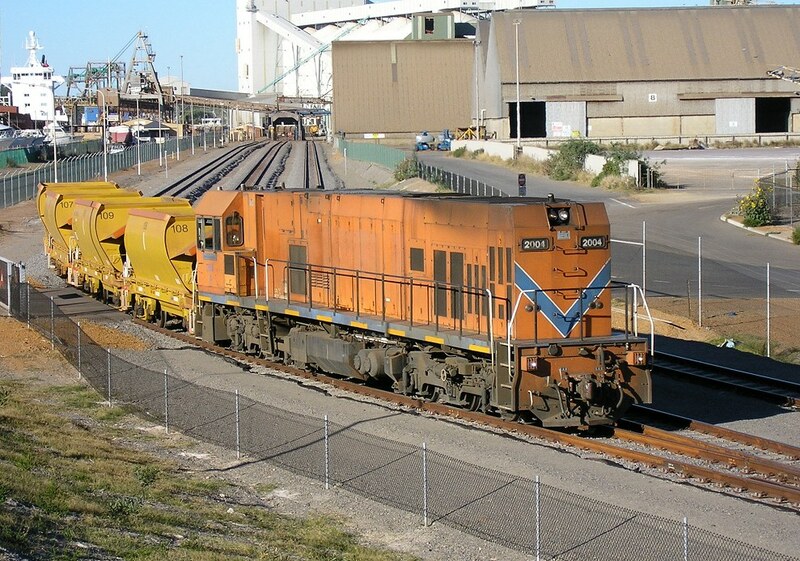 The Midwest Corporation test train is seen leaving Geraldton Port after unloading on 13 June 2006. The train is heading back to Narngulu behind P2004. 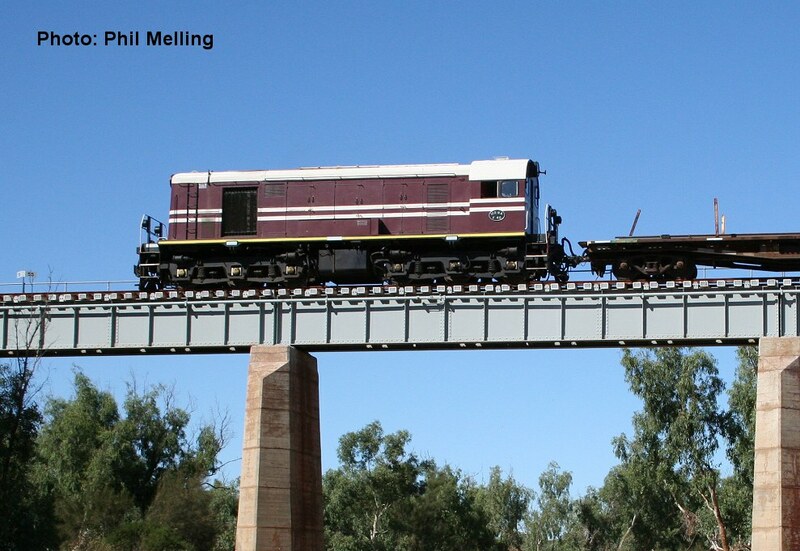 F40 is seen on the Eradu Bridge almost the midway point on the Mullewa line. 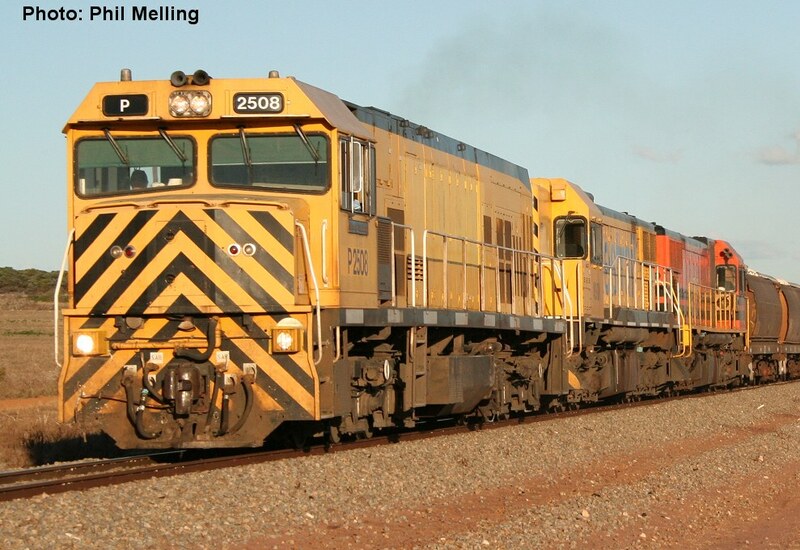 The F is assiting on a rail train distributing heavier rail for upgrading the line for higher iron ore traffic tonnages. Photo taken on 20 May 2006. 1901/P2004 haul an empty grain train away from Narngulu on 15 June 2006.